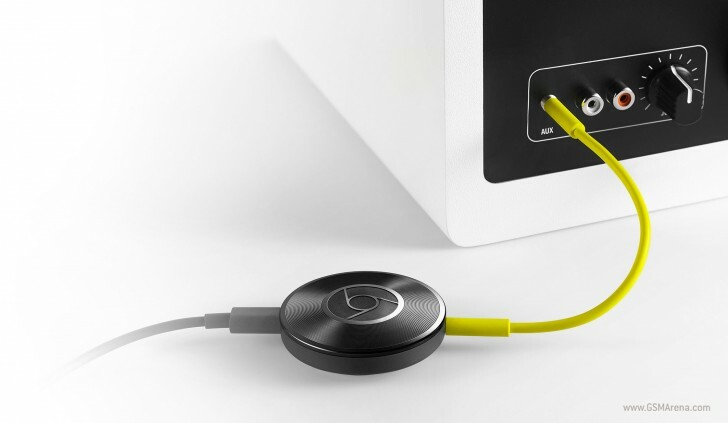 Alongside the second generation Chromecast dongle for your TV, Google also unveiled the Chromecast Audio this September. Whereas the 'normal' Chromecast is simply put a way to smarten up your TV, the Audio does the same for speakers. It can connect to your existing speakers that don't have any type of network connection either via a 3.5mm analog stereo cable, or via RCA connectors or an optical cable. You then give it access to your Wi-Fi network, and from that point on you 'cast' music to it through apps on your mobile devices, just like you do with the Chromecast for TV. Starting today, the Chromecast Audio is set to receive an automatic software update, and this is pretty important because it will enable two neat features. First off, you get high-resolution audio support, which means up to 96KHz/24bit lossless playback is now possible through the dongle. Multi-room support is in too, which lets you listen to the same synchronized music in all of the places you have a Chromecast Audio connected, all at the same time. So if you have one hooked up to your speakers in the living room, and another in the bedroom, and another one in the kitchen - you'll hear the exact same music wherever you go. This works if you first create a group of speakers via the Chromecast app. You can then cast to the group in the exact same way you cast to a single device.